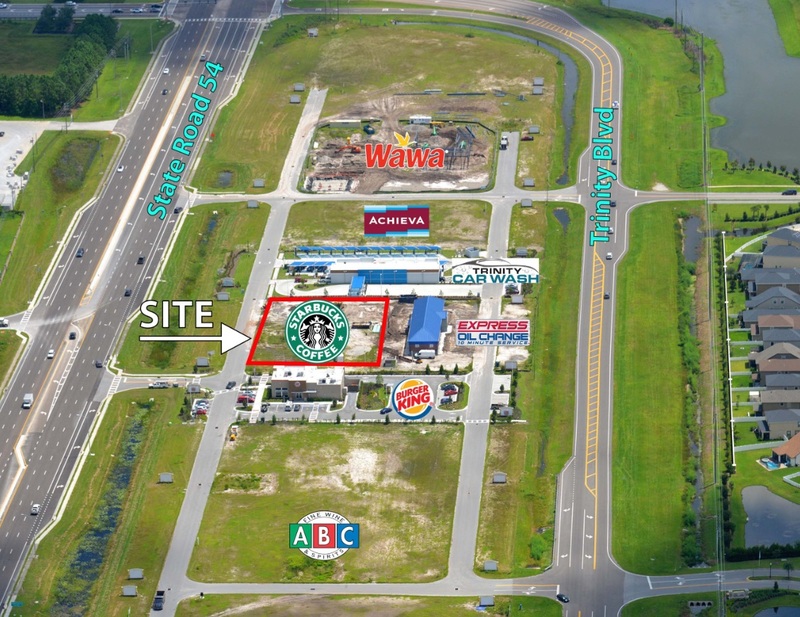 The Sembler Company broke ground on Starbucks at Trinity Lakes Crossings earlier this week. The new store is approximately 2,515 SF and features outdoor patio/seating and a drive-thru. Trinity Lakes Crossing outparcels are directly adjacent to Shoppes at Trinity Lakes, a 65,000-sq-ft, Publix-anchored shopping center developed by Sembler in 2016. The center is the primary commercial node serving the thriving growth in the Trinity area market which expects to add another 47,000 residential units by the end of 2022. Along with Starbucks, other outparcel tenants include: Hampton Inn, ABC fine Wines & Spirits, Achieva Credit Union, Express Oil, Wawa, Burger King and Trinity Car Wash.
“We are super excited about the addition of Starbucks to this overall development”, said JP Guzzardo, VP of Development for the The Sembler Company. There are four outparcel opportunities still available. For more information contact Frank Militello at (727) 384-6000 or visit www.sembler.com.